A few days ago, I received this photo and message from our friends at Orme Radio…. 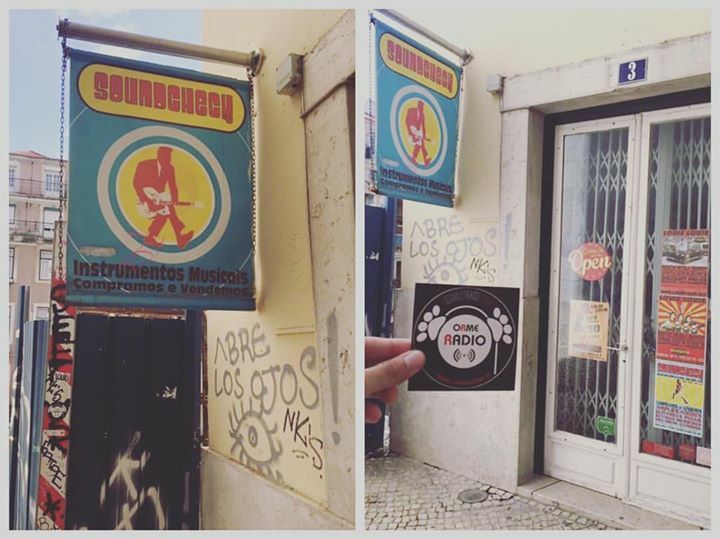 Little postcard from Lisbon: one of the Orme Radio founders, Marco, is there for job shadowing and as suggested by Riccardo Lancioni – our radio marathon man – took this pic in front of the music shop called Louie Louie! 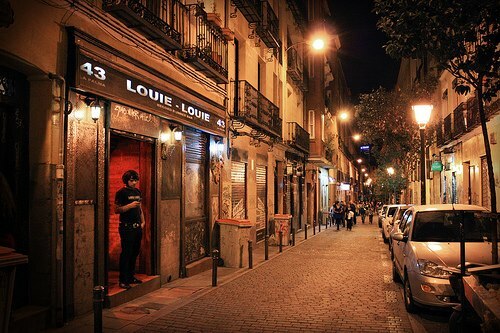 According to their official Facebook page, the Louie Louie Bar in Madrid is a cocktail bar, that specializes in Rock’n’Roll Anglo-Saxon music in its various variants. 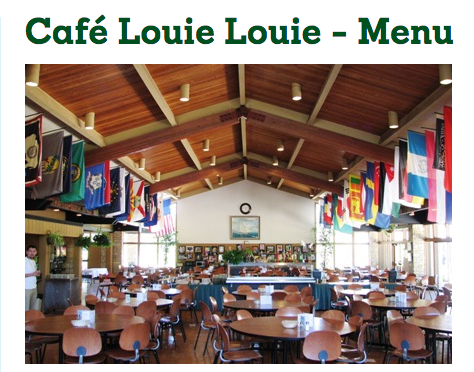 There is a Café Louie Louie at the Stevenson School in Pebble Beach, California, serving children from grades 9-12. 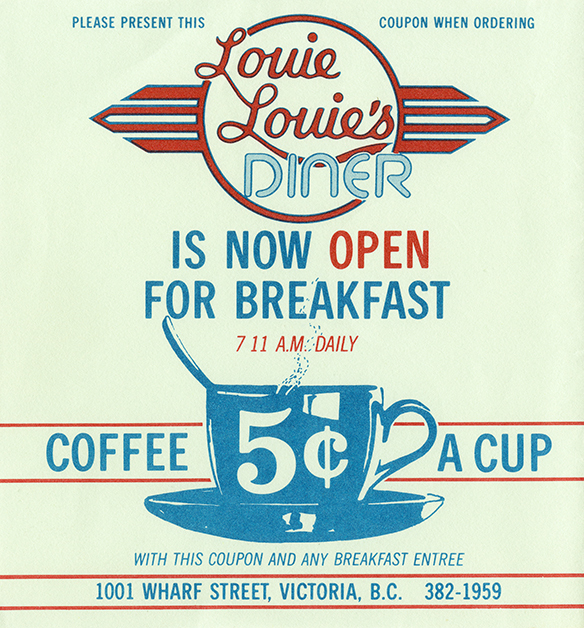 Louie Louie’s Diner of Victoria BC, Canada was a restaurant that existed for 16 years from April 1987 until March 2003. However long before we opened the doors, people were associating the diner with the song and the good times and parties they so well remembered. George also enclosed some nice momentoes from the diner, which you can see in this photograph. Unfortunately, I never had a chance to visit George’s diner. 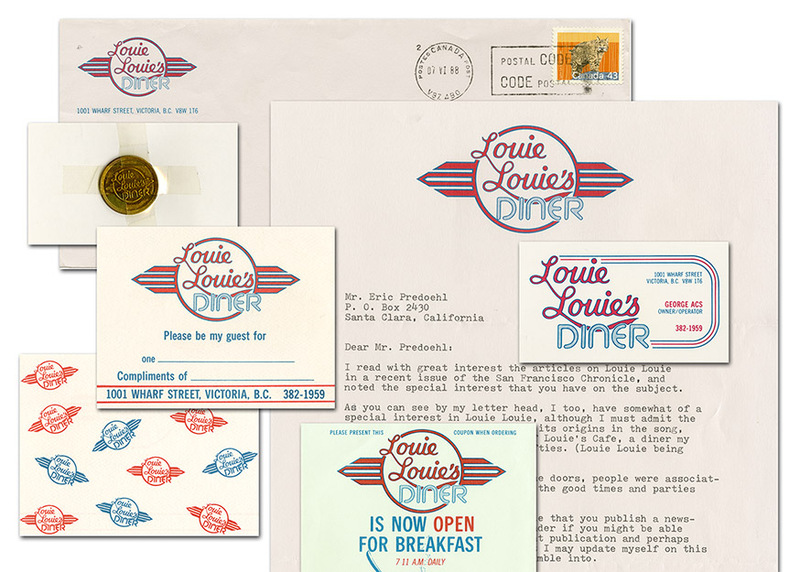 Luckily,thanks to the power of the internet, I found George’s LinkedIn page, where I discovered a timeline for Louie Louie’s Diner, as well as details about what George has been up since he last wrote me. Thank you again, George! The Louie Louie Italian Bistro of Ft. Lauderdale, Florida was another restaurant that no longer exists. Yelp reviewers gave it a 4-star average rating. The Wayback Machine of the Internet Archive saved bits of their old louielouiebistro.com webpage. Thanks again to our friend Clay Stabler for his extensive research in tracking down most of these organizations. 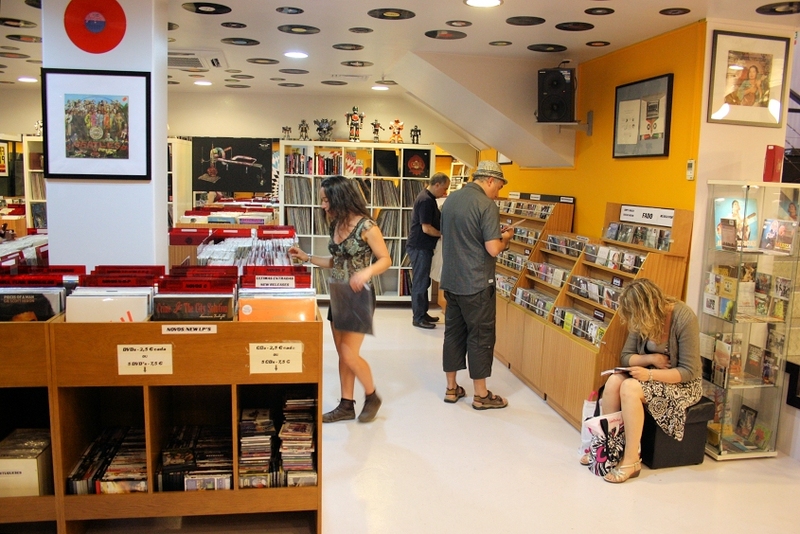 If you can think of any LOUIE LOUIE venues we might have missed, please let us know.